Enjoy a delicious burger & 2 chilled Heineken beers! 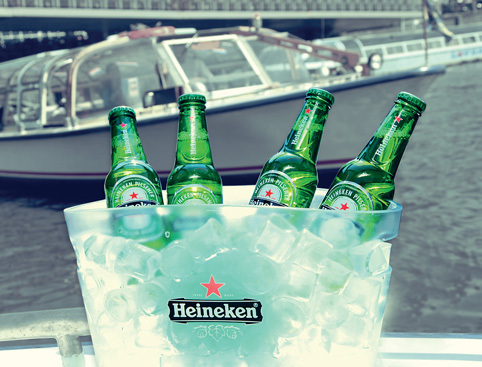 Enjoy a delicious burger, chilled beers and a whole lot of fun on the best beer & burger cruise in Amsterdam! See the city’s biggest and best sights on this relaxing 1-hour cruise, with on-board commentary giving you all the stories and fascinating facts about this wonderful city. This is a great way to see Amsterdam if you only have limited time in the city – and enjoy some fabulous food and drink along the way! Collect your burger from one of the best hamburger restaurants in town before boarding the boat, where you can also enjoy 2 glasses of Heineken - Holland’s most famous beer! Summer Season (22nd March to 28th October) – daily at 6:30pm. Winter Season (31st October to 21st March) - daily at 6pm, excluding Mondays and Wednesdays. The cruise begins at 6:30pm in the Summer Season and 6pm in the Winter Season. Please ensure you are at the departure dock at least 30mins prior to cruise start. Children aged 4-13 are welcome on the tour with a child’s ticket.